“This is a long trek forward to change the very basis of our industrial economy,” Brown said last week. “And I think we’re making tremendous progress.”In coming years, the new legislation means California’s homes and buildings are expected to use dramatically less electricity and the power grid will increase its share of renewable energy. Brown also hopes to achieve much of what the Legislature rejected through executive orders and regulations. That will mean more electric cars on the road and increased use of biofuels, as part of a far-reaching effort to slash greenhouse gas emissions. In the legislative session that ended on Sept. 11, lawmakers halted a bill that would have mandated deep greenhouse gas emissions cuts by the year 2050. They also failed to extend the state’s carbon-limiting cap-and-trade program, which may otherwise expire in 2020. Most contentious of all was a bid to slash petroleum use in motor vehicles in half by 2030. That idea got dropped after the oil industry launched a vigorous advertising campaign in opposition, and some Democrats in the state Assembly shied away. Still, Brown and Senate President pro Tem Kevin de León (D-Los Angeles) will bring almost unparalleled accomplishments to a major international climate-change conference in Paris this December. Lawmakers passed and sent to the governor a landmark measure, carried by de León, to require electric power providers to get half of their electricity from renewable sources by 2030 (currently they are required to get 33 percent by 2020). It’s a target that’s stricter than all but a few states. Brown is expected to sign the legislation by the Oct. 11 deadline. The renewable energy goal means that electricity providers must invest in more wind farms and large-scale solar plants as well as new transmission infrastructure. Currently, the three major utilities in the state – Pacific Gas & Electric, Southern California Edison and San Diego Gas & Electric — each get more than 20 percent of their electricity from renewables. The renewable energy bill also calls for new and existing buildings across the state to become, collectively, twice as energy efficient by 2030. This means that Californians can expect to get more information about their homes’ energy usage, a helpful tool for homebuyers among others. It is also likely to be easier to find and use incentives like rebates to make homes more efficient. Energy-use standards for electronic appliances may also continue to tighten. “It is a very big goal,” said Dennis Murphy of the US Green Building Council’s California branch, who noted that the state already was far more energy-efficient than most of the nation. Churches, schools and office buildings will be affected as well as homes, he said. The third leg of de León’s bill, known as Senate Bill 350, would have required the state to cut petroleum usage in motor vehicles in half by 2030. That portion got removed from the final bill. But Brown said last week that the California Air Resources Board, which would have taken charge of the petroleum mandate had it passed, would work toward a lower-petroleum future anyhow. Last week, the air board readopted a major rule known as the low-carbon fuel standard that requires producers of transportation fuels such as gasoline and diesel to make their products 10 percent less carbon-intensive by 2020. The air board is already planning for long-term greenhouse gas emissions cuts to comply with executive orders issued by Brown and his predecessor, former Gov. Arnold Schwarzenegger. The executive orders require emissions reductions of 40 percent below 1990 levels by 2030 and 80 percent below 1990 levels by 2050. These cuts will have impacts for many sectors, prompting industrial plants and even perhaps farms to cut their greenhouse gas output. A bill would have codified those goals into law, which would preserve the goal in statute no matter who succeeds Brown as governor. “It’s not really set in stone. It’s an executive order,” said Ethan Elkind, a climate expert affiliated with the laws schools of the University of California, Berkeley and UCLA. He added that some groups may not follow those orders the way they would legislation. But assuming the air board crafts policies to comply with the executive orders, that should effectively mean a close to 50 percent cut in petroleum use, said Simon Mui of the Natural Resources Defense Council — on the order, in other words, of what de León and Brown originally outlined. Indeed, despite Brown’s fury at the oil companies, the air board may not be able to enact petroleum cuts directly, in the absence of legislative action. Air board spokesman Dave Clegern said in an e-mail that the agency does not comment on legislation. However, “broadly we would note that Senate Bill 350 did not expand ARB’s authority, nor was it a directive to create new regulations,” he said. The major programs needed to meet the decarbonizing goals announced this year by the governor are already in place, Clegern said. The air board has crafted policies that include reducing the carbon content of fuels, regulating the emissions from cars and trucks, and rewarding automakers that sell electric vehicles to Californians. The board also runs the cap-and-trade program, which limits carbon across nearly the entire California economy. 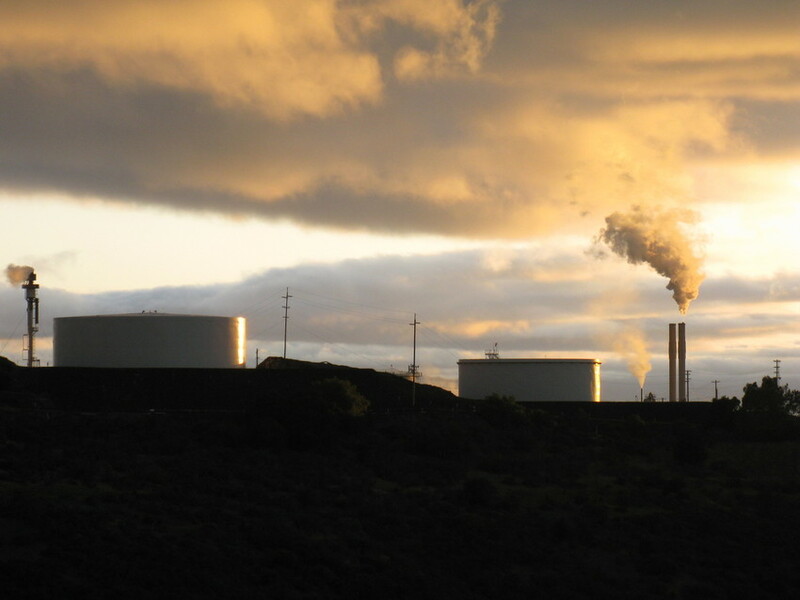 The air board operates some of its key programs under a landmark piece of legislation passed in 2006, which sought to slash California’s greenhouse gas emissions to 1990 levels by 2020 — a goal that state officials expect to meet in time. But the air board, which is overseen by a panel of gubernatorial appointees, is also likely to face increased scrutiny from both businesses and lawmakers as it embarks on more ambitious policies whose costs have yet to be determined, including those that affect petroleum. New legislationprovides that the Senate and the Assembly will now each appoint one member of the agency. “There’s going to be a lot more attention paid to what strategies that we have available, including, like, litigation, to be able to address [regulatory] decisions, if we don’t think they’re fair and balanced,” said Rob Lapsley, president of the California Business Roundtable. Lawmakers, some of whom toyed with the idea of curbing the air board’s power during the recent session, will also take a more active role in the watching and overseeing the agency, Lapsley said.